Fruits are great for skin whether you eat them or use as face pack. 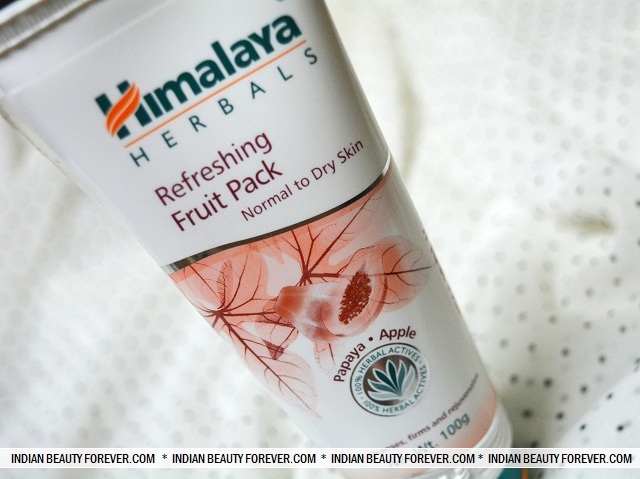 I will review Himalaya Refreshing fruit face pack which I have been using for the past 1 month along with some other packs. I had become lazy in trying face packs but with the onset of summers, I have made sure that I will at least use them 2 times in a week. Himalaya fruit face packs has the fruits like papaya, fig, cucumber, crab apple and fuller’s earth. So, is it really a face pack worth trying? Let’s get to know that. 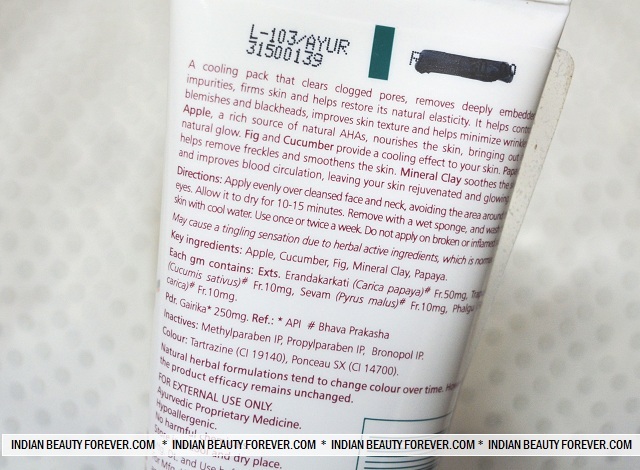 Brand claims about Himalaya Refreshing fruit pack: Himalaya’s Refreshing Fruit Pack blends together a host of natural fruity ingredients that leave your skin feeling rejuvenated and soft. The extracts of Papaya, Fig, Crab Apple, Cucumber and Fuller’s Earth nourish the skin and improve skin glow. Our Refreshing Fruit Pack cools the skin, smoothening it and removing deeply embedded impurities. The fruit face pack comes in the trademark Himalaya tube bearing all the details about the product. The face pack is a pale yellowish colored product while looks like a Multani mitti paste as multani forms a core base of this pack. I like its subtle pleasant scent which isn’t artificial or too strong. I don’t like using products bearing too much of fragrance at least for the face. I take around 2 blobs of medium size that is enough of the entire face. The texture is smooth with medium consistency which helps the pack to get smeared on the face nicely. After I am done applying the pack on my face, I feel that it causes some mild tingling sensation on my face. My skin is slightly sensitive these days hence I felt the sensation to be more for the past few times. I keep this for 15- 20 minutes then rinse off with clear water. After, I wash it off, I feel my face looks dewy, hydrated and no signs of greasiness. It tightens the couple of monster pores over my nose and skin looks brighter. As I have used this 2 times in a week, it had given good results. It makes my face feel better as in the oils, greasiness etc can play a havoc and cause whiteheads in summers which the face pack has efficiently prevented with the presence of Multani, which absorbs the oils very well and gives an oil free skin. Of course, the face pack worked along with other skin care things I used. I have used this face pack earlier as well and that time I was tanned and it removed the tanning to certain extent which is good. I will recommend this or the Himalaya neem pack if your skin is pimple prone. 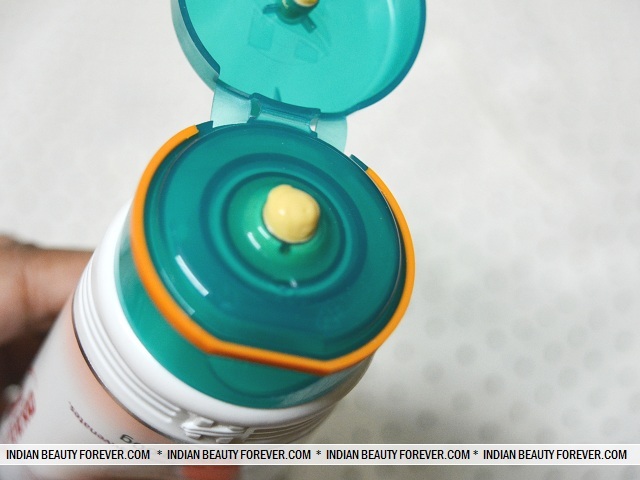 Take: I liked the Himalaya Refreshing fruit pack for its efficiency in making the skin bright, glowing with oil at all. It hydrates the skin and absorbs the excessive oils fro oily to combination skin. The price is good and I see that this pack is easily available in stores and online. Oh I used it in winters when my skin was dry and it worked like a charm! I have used this one and yes, it really works ! I love fruit face packs, especially in summer season. They are a treat for the skin !